Our specialties are the unique and the extraordinary. 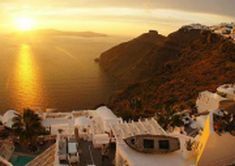 Your luxury vacation in Greece and the Greek islands should be, quite simply, the most memorable event of your traveling life. Our hopes are that each client will truly experience each destination rather than view it. Our goal is to provide a unique, unforgettable luxury travel experience that reflects the traveler's true desires and interests and perform this service with professionalism, knowledge, creativity, and care. Each luxury tour package will be handled personally by an experienced travel consultant and will offer the high level of service, extra value and personal attention you are accustomed to. Let our experienced staff help you plan your dream luxury holiday in Greece and participate in some of the wonders of our beautiful country. Athens Greece 3 night luxury vacation package, includes private transfers and tour. A wonderful 8 night Luxury Greece island hopping vacation package. 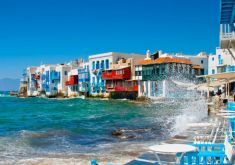 Visit Santorini and Mykonos and discover the most beautiful islands in Greece! Daily departures April to October. 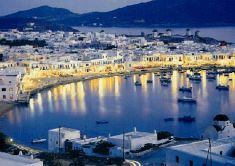 10 night Greek island tour. 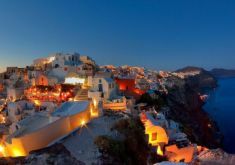 Explore Athens and the beautiful islands of Mykonos and Santorini with this luxury discount package. 12 day Greece Luxury honeymoon vacation package. 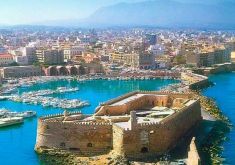 Visit Athens, and 3 beautiful Greek islands: Chania in Crete, Santorini and Mykonos.